So this is my first weekend getting out onto Gritstone and it was definitely a success. As desperation set in on Thursday night I turned to UKC to look for a partner for the Saturday and lucked out with it being the Mynydd Climbing Club's Turn up and Tie on meet. With much trepidation I caught the train to Grindleford and walked up to Froggat Car Park where I sat look lost and confused until the Mynydd Club members began to arrive. Upon getting to the crag we split into groups and I partnered up with Paul for my first lead of the season up Green Gut. This was followed by a number of other ascents of Gritstone Jamming cracks: Diamond Crack, Terrace Crack, Sunset Crack (seconded), Heather Crack (seconded) and finally some interesting udge-ing up Hawk's Nest Crack, undoubtably the best route of the day with an intense finish over the exposed flake! To follow up such a good first day of the season I had planned to meet with the Captain in Sheffield on the Sunday and after yet another pointless taxi ride to the station (I need to get up earlier) we were off to Rivelin Edge. 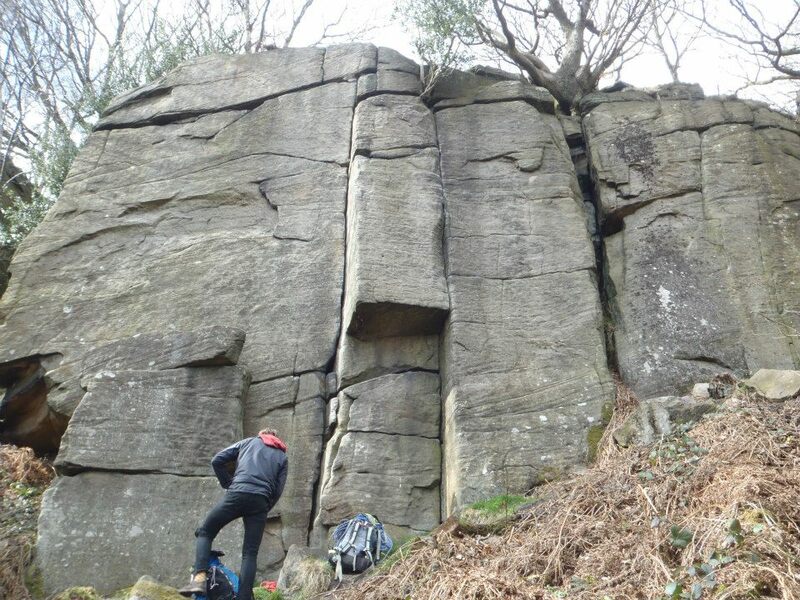 First route of the day was Root Route (S, 4a), another of the Gritstone jamming cracks, which felt pretty tough for the grade. John followed with up with a spectacular lead of Croton Oil, HVS 5a, which was at that point and probably still is my hardest second to date and one of the best belays I've been party to in the peak. Due to the crowds and a burning desire to forge through my tick list we headed back right for Altar Crack a route which the guide book describes as a route from when "men were men". After a cheeky bit of bridging out and high gear placements I sprinted, though not very quickly up to the break and an awkward rest. Unfortunately my attempt to move from the rest did not go as smoothly as the rest of the route had and reversing the move to the rest was just too much for me and had to rest on the gear with much cursing and swearing. After a quick breather I jumped back onto the route again and turning my jam into more of a layback I unlocked the move got a high foot and gasped may way to the top. Having watched me struggle up Altar Crack the Captain decide to have a go at the thin crack to the right, Nonsuch, and lead it with a couple of rests due to the strenuous nature of the jams and the poor quality foot placements. Whereas the lead had been an education in grace and balance my attempt on the route was less than subtle due to combined pulling up whilst rope was taken in. Eventually I made it to the top though not with much claim to a true second! All in all a great weekend, shame about the rest on Altar Crack as it doesn't count towards my tick list but it does give me a reason to come back to Rivelin.